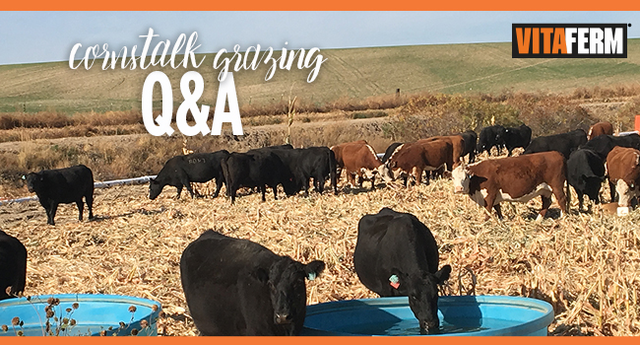 A: This depends on stocking rate and available dry matter to graze. The quick answer is “At 150 bushels an acre, approximately 1 acre of cornstalks are needed to feed the cow for 30 days. To feed the same cow on cornstalks for 60 days, 2 acres would be needed.” I think these are good numbers for budgeting. I challenge producers to continuously monitor the cattle, their behavior, and the amount of husk and leaf left in the field. Once the majority of the husk is gone, the feed value is relatively poor. A: There is a level of risk grazing these fields. If you have clean fields they would be preferred. However, Diplodia molds are less harmful to animal health than Aspergillus and Gibberella molds that can produce Aflatoxin or Zearalenone. It is important to scout fields because Diplodia can open the door for these more dangerous molds to proliferate. I would encourage producers to offer some other feed source such as hay and use infected fields only for a short time at lighter stocking rates. Short summary… there is risk, but it can be managed. A: Like all rental agreements, there are several determining factors for value. The main thing is to have some kind of agreement in writing. This is a good article on what needs to be in the rental agreement. As for price, I would suggest starting at $0.25/hd/day for a fall grazing season with gestating cows. Factors like fence, water, length of grazing season, trucking, stocking rate, and weather challenges can all influence price. Q: How do I know when supplemental protein is needed? A: It first depends on where cows are in the production cycle. Lactating cows will require supplemental protein in all cases since stalks do not meet requirement for protein in lactating cows. Gestating cows that are 3-4 months away from calving may only require protein during a two month period if cornstalk quality is managed and cows are consuming grain, husks and leaves. The key is to keep meeting protein requirements, which get higher as cows get closer to calving, while corn stalk protein levels decline over time as cows consume lower quality portions of the plant. If you monitor manure, a lack of corn in the manure and tall firm stools are a good indication that protein is needed to help breakdown and digest the fiber causing firm stools. 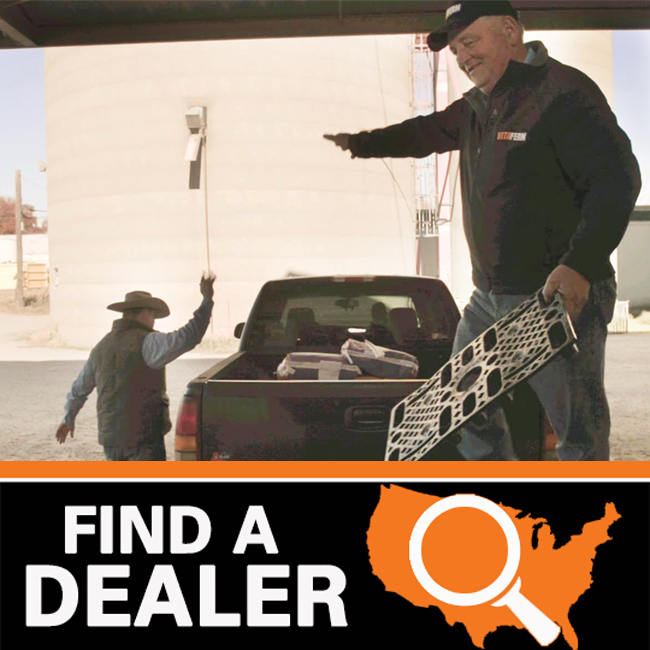 Q: Are there any feed additives that I should consider? A: In addition to ensuring trace mineral and vitamin requirements are met, feeding a prebiotic that supports digestive health will have benefits. When cows are first introduced to corn stalks they will select the grain first, which can be damaging to rumen microbial populations and lead to acidosis. Amaferm research has shown that it can help stabilize microbial populations as well as pH during nutritional stress. In addition, Amaferm, a natural prebiotic, helps unlock valuable protein from plant fiber allowing for more microbial protein production as well as increasing digestibility. This means producers can extend mineral feeding and delay supplemental protein feeding which offers significant potential to save money. VitaFerm Raised: Superior Livestock’s Value-Added Nutrition ProgramWhen Times Get Tough…Don’t Stop!